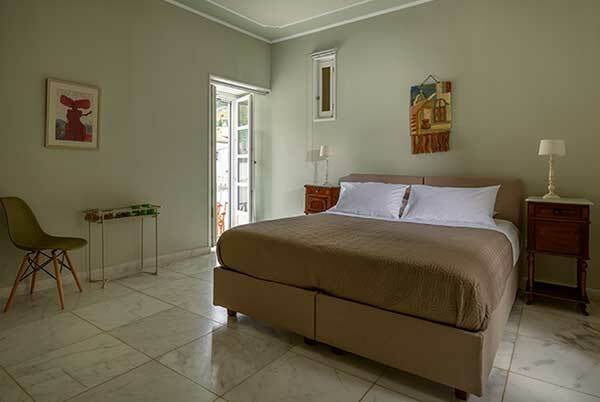 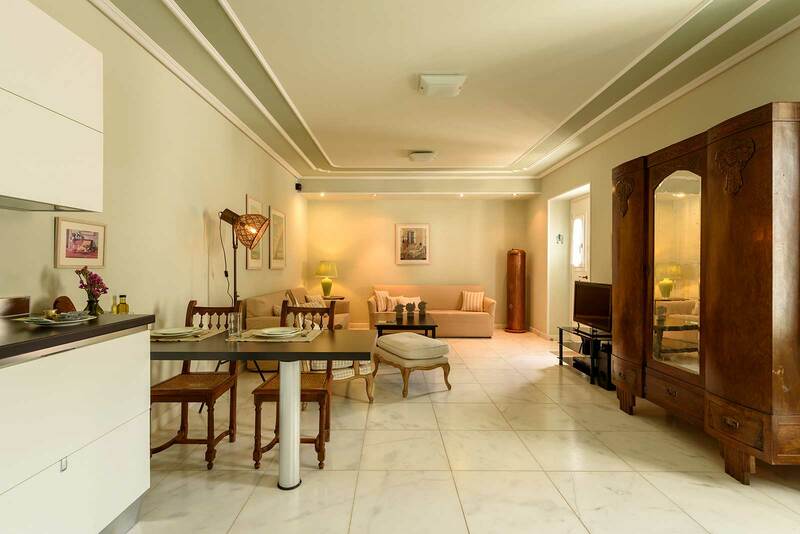 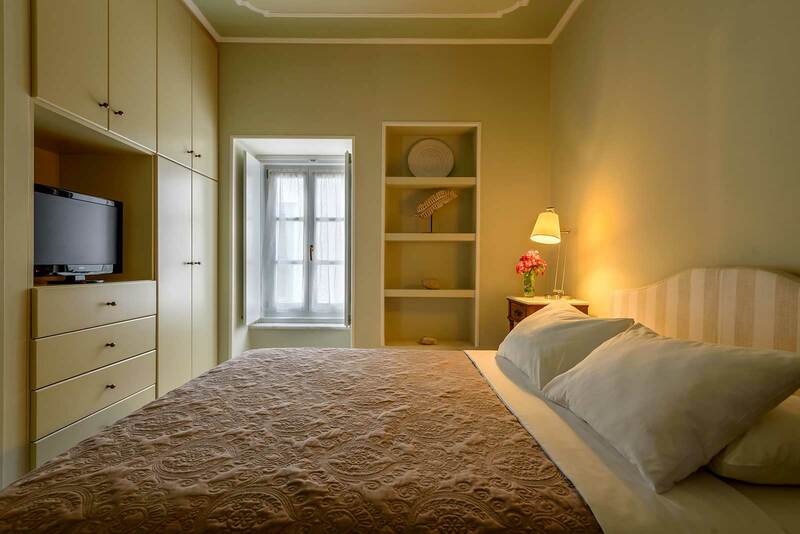 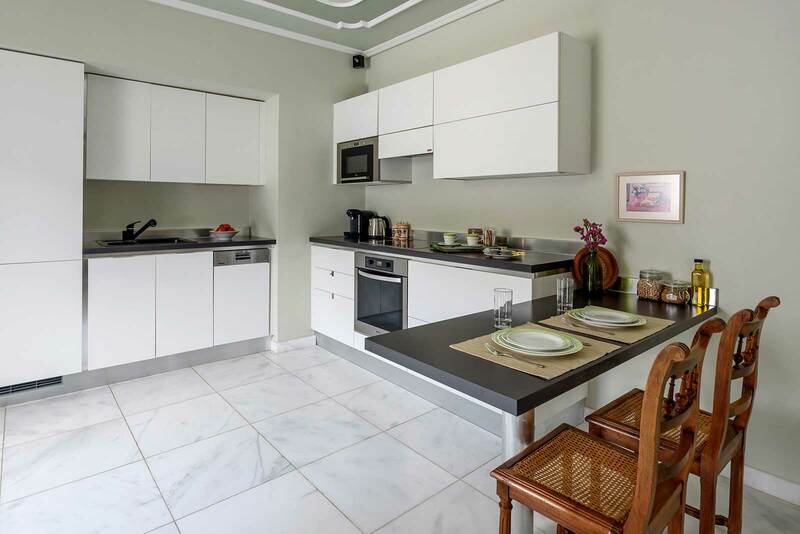 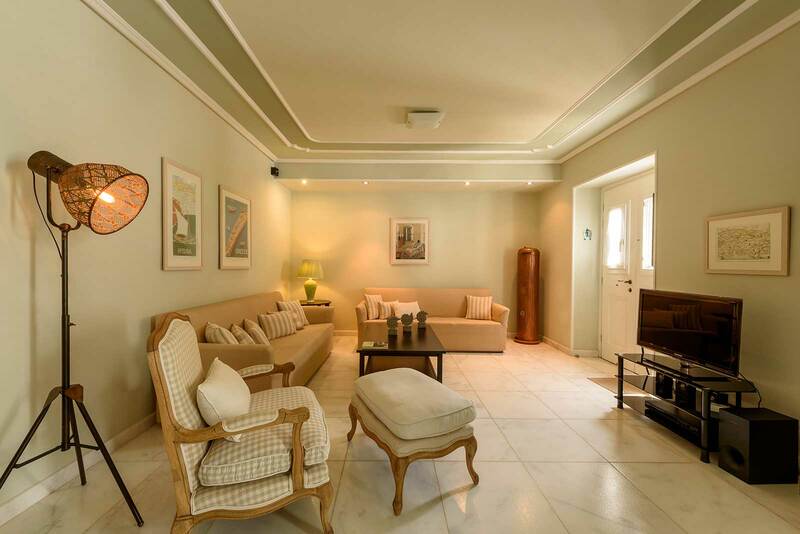 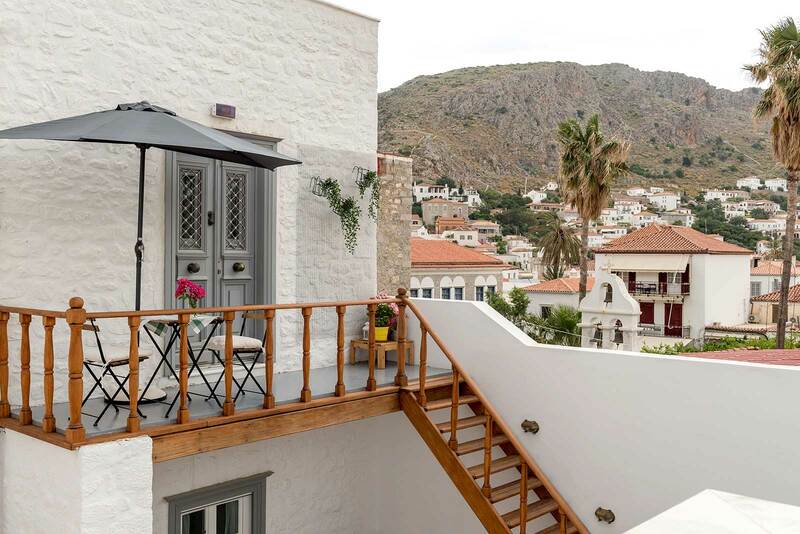 Occupying the first level of the house, the bright and airy apartment of 95 square meters (1022 square feet), enjoys great views of the amphitheatrically built Hydra town, accommodating up to 3 guests. 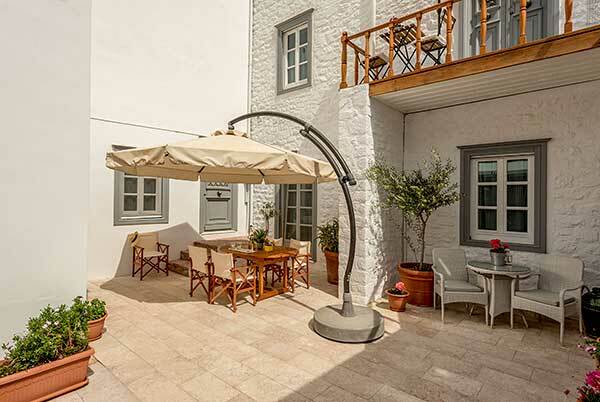 Entry to the apartment is through a wooden staircase passing through a lovely courtyard (“avli”) paved with “Dokos Red” stones and rough marble, planted with flowers, Greek fragrant herb shrubs such as lavender, thyme and jasmine as well as olive and lemon trees. 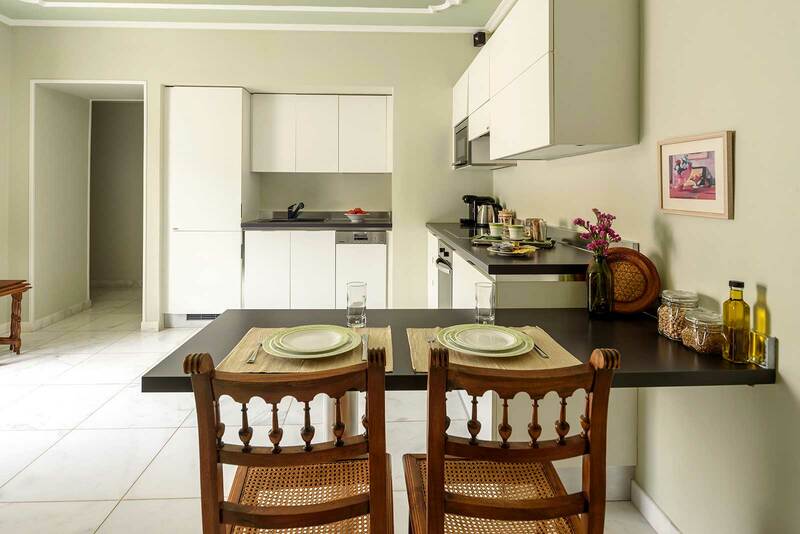 The main open plan living/dining area with a well-equipped kitchen, is stylishly decorated in olive and neutral tones with comfortable sofas and armchairs, equipped with LCD Satellite TV, DVD Player and sound system. 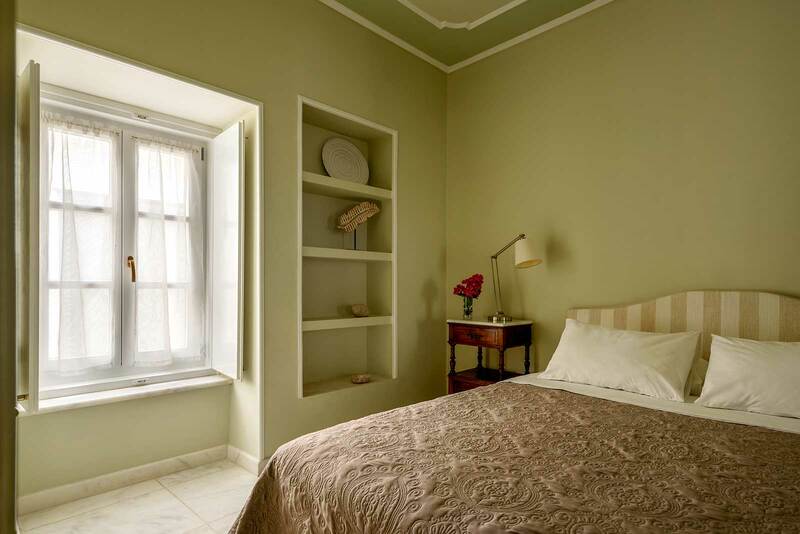 An antique closet with the full-size mirror as well as old brass pots and pans add to the traditional and eclectic style of this apartment, creating a uniquely welcoming and warm atmosphere which blends with Hydra’s authentic character. 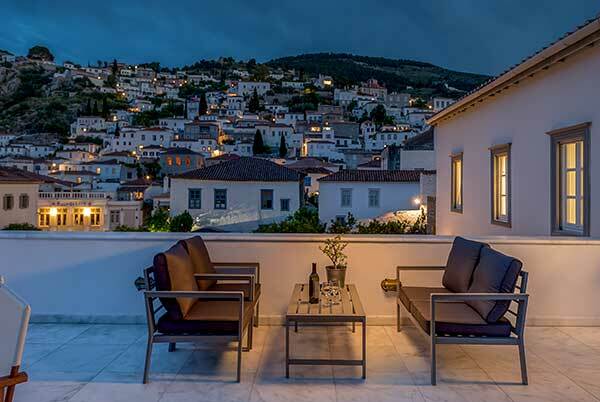 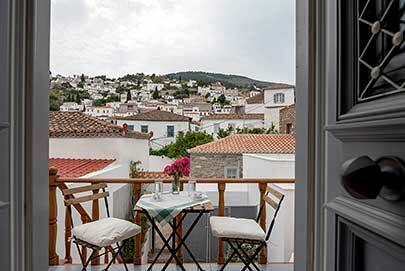 The living area opens to a furnished balcony ideal to enjoy a morning cup of coffee or an evening glass of wine, overlooking the town of Hydra. Next to the kitchen, a small hallway leads to a spacious double bed bedroom with en-suite bathroom, offering Jacuzzi shower facilities, overlooking a quiet street with terraced steps.